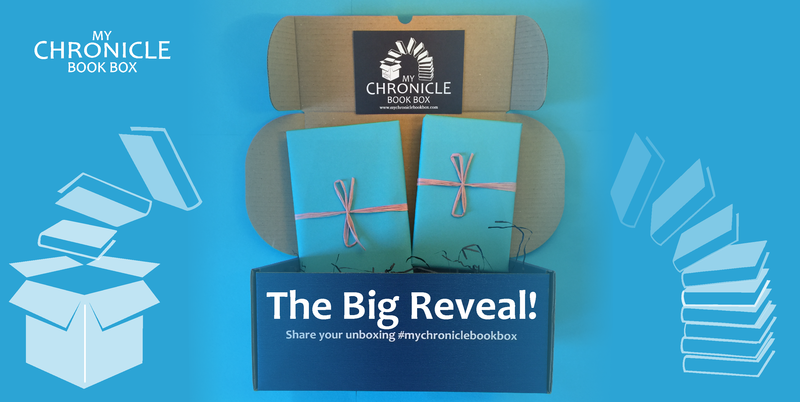 Yesterday the very first My Chronicle Book Boxes landed on door steps so today I would like to officially reveal the contents of the boxes to all of you! For the crime & mystery box I chose Death in the Stars by Frances Brody for its well plotted murder mystery and 1920’s setting and Did You See Melody? by Sophie Hannah for its contemporary setting and unusual perspective. Also included were an exclusive letter from Frances Brody and a signed bookplate (the book plates were specially selected by Frances herself) and additional background to the writing of the book provided to us by Sophie Hannah. 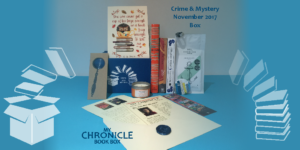 As an extra bookish treat to celebrate our launch, the crime and mystery box included an additional book, Strange Sight by Syd Moore. This an Essex Witch Museum Mystery and is a light, humorous mystery in the spirit of the Halloween season. 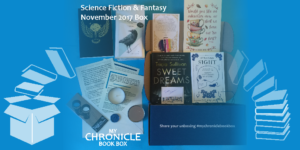 For the SFF box I chose Sweet Dreams by Tricia Sullivan for its originality and intelligence and Strange Sight by Syd Moore for its sheer fun and entertainment. Also included are bookplates signed by Tricia and an exclusive interview with her too. The SFF box contained a beautiful proof of A Pocketful of Crows by Joanne M Harris as well as an exclusive interview with Joanne and a postcard as the additional bookish treat. This novella is a story of love and revenge, full of rich and intense folkloric flavour, ideal for a dark autumnal evening. Under Milk Wood or Crow Tree ground coffee by Dark Woods Coffee. Dark Woods coffee is served all around the UK including my local farm shop. A beautiful tea and books print (one of four possible designs) from the new autumnal range designed and produced by Miss Bohemia. I didn’t feel I could include coffee without something for the tea lovers among us too, and I just adore these prints. I will be hanging one (actually more like all four) up at My Chronicle Book Box HQ! A unique bookish pocket mirror produced by JenThePieceMaker exclusively for My Chronicle Book Box. Ideal for the pocket or handbag and essential for checking your appearance, surreptitiously looking round corners or sending signals using reflected light. An organic, soy based and beautifully scented candle tin from Northumbrian Candleworks. Mimosa & mandarin or honeysuckle jasmine scents were in the crime & mystery box and Green Apple or Sandalwood scents in the SFF box. These are four of their bestsellers and those which I and my fellow testers felt complimented the chosen books best. A fun magnifying bookmark from That Company Called IF. Based in Pickering, North Yorkshire, IF design and manufacture a range of book related products and have been doing so since 1996. I can’t wait to hear what you all think of the book boxes! I’m going to go relax with a good book now… any recommendations for something calming?